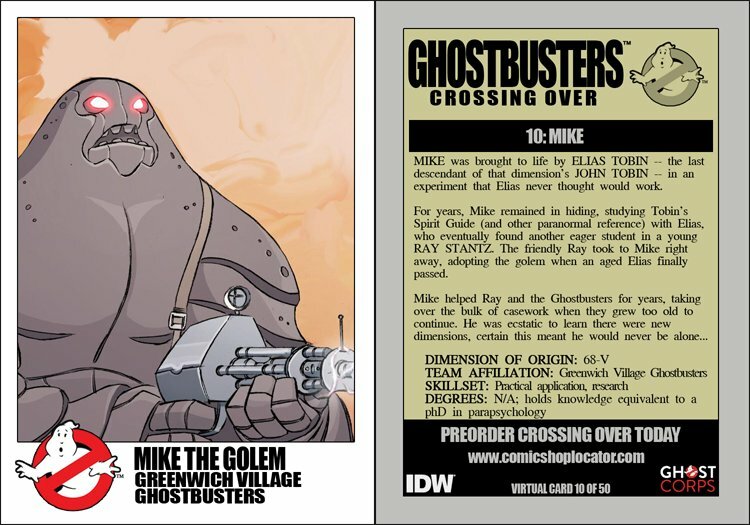 MIKE was brought to life by ELIAS TOBIN -- the last descendant of that dimension's JOHN TOBIN -- in an experiment that Elias never thought would work. For years, Mike remained in hiding, studying Tobin's Spirit Guide (and other paranormal reference) with Elias, who eventually found another eager student in a young RAY STANTZ. The friendly Ray took to Mike right away, adopting the golem when an aged Elias finally passed.